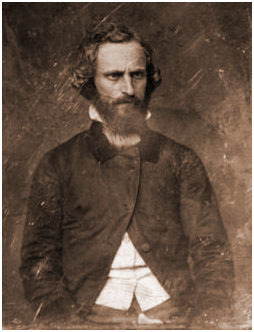 Clement Claiborne Clay, from "The Clay Family"
Legislator, Lawyer, Strong Advocate of Secession. • "He was a U. S. Senator at the point of secession and made a withdrawal speech for the State of Alabama. 'Mr. President, I rise to announce that the people of Alabama have adopted an ordinance whereby they withdraw from the Union, formed under a compact styled the United States, resume the powers delegated to it, and assume their separate station as a sovereign and independent people. 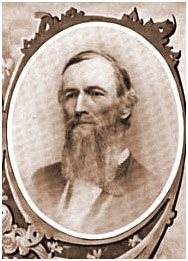 His likeness was used on the Confederate one dollar bill from 1862 to 1863. After the death of Lincoln he was accused of complicity and was hunted by the Union Army. He rode 150 miles to turn himself in and was imprisoned with Jefferson Davis at Fortress Moultrie for one year after the war. • Alabama Biography - History of Alabama and Dictionary of Alabama Biography, Volume 3 by Thomas McAdory Owen, Marie Bankhead Owen, © 1921, pp 341-2. • Alabama Past Leaders - By Henry S. and Marsha Kass Marks, Strode Publishers, Huntsville, Alabama 35801, © 1982, pp. 58-9. 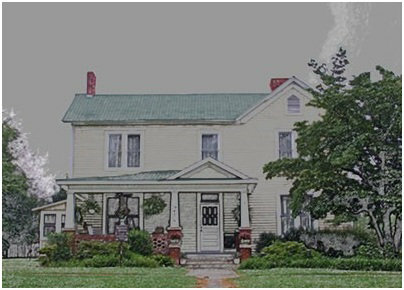 • Ancestry.com - House - Painting of the house added by Robert F. Hale Jr., Oct. 25, 2007 Requires Ancestry.com membership to view. • Ancestry.com Letter - Letter added by Robert F. Hale Jr. Requires Ancestry.com membership to view. • Brewer's Alabama History - Alabama, Her History, Resources, War Record, and Public Men: From 1540 to 1872 By Willis Brewer, © 1872, p. 357. • Clay Family - The Clay Family: Part First; The mother of Henry Clay, by Hon. Sachary Frederick Smith, Mary Katherine Rogers Clay, © 1899, pp. 128-9. • Clay Letters - Posted by Robert F. Haley Jr. and requires Ancestry.com paid membership to view. • Comer Family Tree - Braxton Bragg Comer, His Family Tree From Virginia's Colonial Days, by Anne Kendrick Walker, © 1947. • FindaGrave - Maintained by Find A Grave with photos by "The Mystery Man" & Barbara Lee Parsons. • Flickr: Graves - Maple Hill Cemetery graves and story by oldshouldvideo taken November 13, 2009. • Letters from Florida - Letters from Florida in 1851, edited by Olin Norwood. The Florida Historical Quarterly, Vol. 29, No. 4, Apr., 1951.